Do you use Podio to keep track of your leads and want or use Email Marketing? 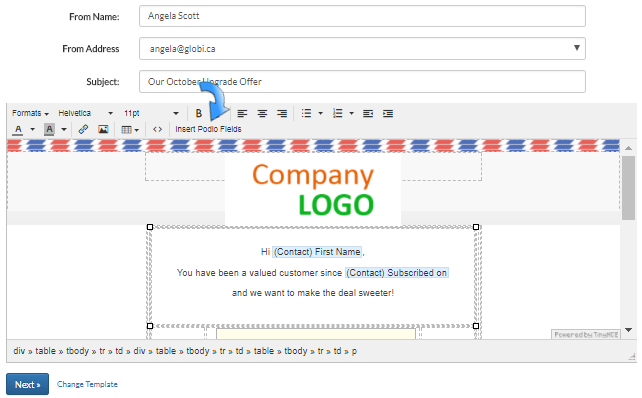 Sending Personalized Emails like Welcome Letters, Coupons and Surveys not only increases your business traffic but helps build your relationships with your current customers. Email Marketing is a highly effective strategy for your business success. With GlobiMail for Podio, managing these Email Marketing Campaigns, just got easier! If you don’t already have GlobiMail, set up is as simple as mapping the Podio App and field that holds the email address. 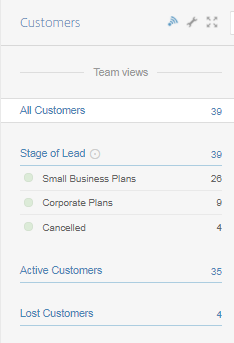 Once the App has been connected, a campaign can be sent to any created Team View (as shown in blue). This means no need to upload contact lists or manage them anywhere else besides Podio. With dozens of responsive templates, it’s easy to choose a starting point and edit it with your business content. Once a Campaign has been sent, your edited template can be copied and changed for any subsequent marketing campaigns. A personalized email can have big impact as it keeps your customers feeling valued. Once the template has been selected, field tokens can be added to address the email directly to their first name and even add in other specific information that you keep stored in the Podio App. When emails come from an unknown address, the delivery rate may not be that successful. By mapping your domain, email correspondence can be sent directly FROM your email address. The Reply-To address is mapped so that replies stay connected on the Contacts Item in Podio. Once a Campaign has been sent, keep track of the open rate on the Campaign Status Page. This page will tell you which contacts are receiving, opening and clicking in your emails. This tracks the Marketing Campaign success in real time and keeps you on top of what campaigns are working for your business. Automate repetitive tasks and keep your Inbox clean with EmailPet so you can focus on what's important. © 2019 Globi Web Solutions. All rights reserved.